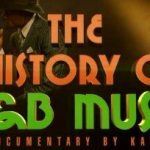 GFM Family we could not be more excited than to announce the Kashif Awareness Campaign that we will be hosting over the next month in conjunction with the landmark project The History of R&B Music that Kashif and his team will be bringing to the big and small screen in late 2015. 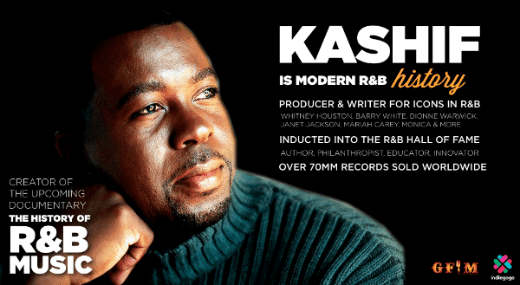 Known for his work with superstar performers such as Whitney Houston, Kenny G, George Benson, Janet Jackson and many others… Kashif has worn numerous hats over the arc of his career such as: R&B singer, songwriter, producer, author, educator and philanthropist. 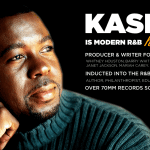 Kashif also holds the distinction of being a six-time Grammy Nominee! As Kashif states in the video below “We need your help, we need your love!” to get the word out about this historical documentary. 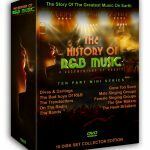 This ten-part series will put into perspective the story of this music as told by the creators, performers and businesspersons who helped to make R&B a worldwide phenomenon. Proceeds from the film will benefit the great folks over at The National R&B Music Society. Find out about the great work they do with artists here.